The Program on US-China Relations (PUCR) seeks to develop academic and policy-oriented networks and to create a hub with regard to research on US-China relations. PUCR holds monthly seminars and policy workshops to provide a forum for active academic exchanges and policy dialogues between researchers at home and abroad. It also proposes acceptable policy alternatives regarding Korea’s strategic dilemmas between the U.S. and China. The core task of PUCR in 2017 was on “East Asia’s Responses to the ‘Rise’ of China: Implications for Korea.” China’s assertive diplomacy is no longer imaginary, but has been more substantive since 2009. Granted that, PUCR has been studying 15 East Asian countries’ strategic positioning vis-à-vis a rising China for the period of 2010-2016. The project seeks to classify the stances taken by these countries into 1) ‘balancing’ which denotes efforts to deny dominance by China; 2) ‘bandwagoning’ which means accommodation of China; and 3) ‘hedging’ designed to diversify risks between China and the U.S. In 2017, research was conducted on 10 countries. One of the major outputs of PUCR in 2017 is the publication of Korea’s Strategic Dilemmas between the U.S. and China – Cases and Assessments, the third publication from PUCR. Seven experts contributed to this monograph by way of analyzing the critical issues presented at the Round Table Series on ‘Korea’s Strategic Dilemmas between the U.S. and China.’ The monograph presents assessments of South Korea’s decisions on 1) membership to the TPP/RCEP; 2) accession to the AIIB; 3) stance on the CICA; 4) Park’s attendance at China’s V-Day commemoration in Beijing; 5) THAAD deployment; and 6) the South China Sea Issues. Other achievements in 2017 include hosting seven monthly seminars, which is PUCR’s signature program, and the ‘6th Korea-Japan Dialogue on East Asian Security’ jointly organized with the Policy Alternatives Research Institute (PARI) of the University of Tokyo. In 2018, PUCR plans to conclude the aforementioned research project on “East Asia’s Responses to the ‘Rise’ of China” which started in 2017. Two articles will be submitted to International Security and Pacific Review (SSCI journals) at the completion of the research. Moreover, the Round Table Series on ‘Korea’s Strategic Dilemmas between the U.S. and China,’ which was held three times during the last two years, will continue on, and the outcome will be published before the end of 2018. 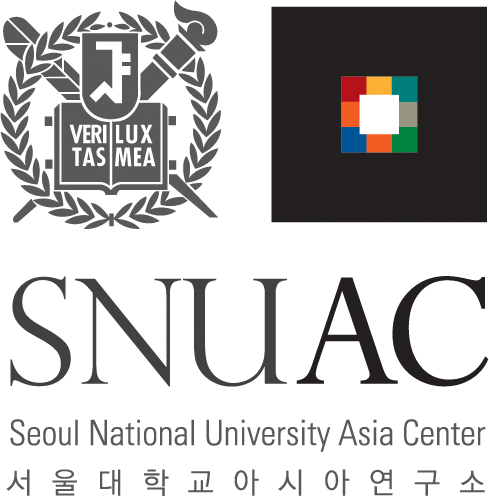 The ‘7th Korea-Japan Dialogue on East Asian Security’ will be jointly held in Seoul with University of Tokyo. The program hopes to strengthen cooperation with academic communities and policy circles of Korea, China, and Japan with regard to the theme of US-China relations. Program on U.S.-China Relations. (Eds.). (2017). Korea’s strategic dilemmas between the U.S. and China – Cases and assessments. Seoul: KOBO Books. Chung, J. H. (2017). Geopolitical changes. In K. H. Jung., et al., The great transformation: Korea’s choice. Seoul: Cloud Nine. Kim, H. J. (2017). From “a national legacy of unutterable shame” to national sorry day: The changes in Australia’s policy on indigenous population. East and West Studies, 29(1). Kim, H. J. (2017). The diffusion of global transitional justice norms and its impact: A case of South Korea. Journal of Korean Politics, 26(1).